Barbara Hodgdon, admired colleague and remarkable interpreter of Shakespeare in performance both on stage and on screen, died on March 22, having retired in 2012 from a distinguished career at Drake University and the University of Michigan. Her scholarly publications include The Shakespeare Trade (1998) and Shakespeare, Performance and the Archive (2016). She edited the Arden3 edition of The Taming of the Shrew (2010) and co-edited A Companion to Shakespeare and Performance (2005). We regret she did not live to see this piece published on our website, but are grateful that her voice still echoes throughout our scholarly community. For many, including the friend who invited me to join her at the theater, Shakespeare’s Midsummer Night’s Dream should be staged in an Arthur Rackham world, replete with nineteenth-century fairies clothed in gossamer robes. Although my friend was deeply disappointed that Peter Brook’s famous 1970 production did not conform to her template, its energy and charge simply bowled me over. In short, seeing Brook’s Dream quite literally changed my life. I did not sleep for two days; the performance would not leave me alone. Tossing out plans of writing my dissertation on Wallace Stevens, I decided to focus on Shakespeare—and, eventually, to work on performed Shakespeare. Today, some forty-odd years later, I recall that moment whenever I read, “I know a bank where the wild thyme blows / Where oxlips and the nodding violet grows. . . .” What I hear, locked in my memory, is the sound of Alan Howard’s voice, attentive to the tempo of one rhymed couplet after another, marking an underlying dynamic attuned to a perceived harmony between form and content that accentuates the musicality built into the form. And that was intensified in performance as sound bounced back from Dream’s white-walled set, which acted as a resonator, alert to space and time. Laurence Burns, a photographer who had, not incidentally, made the production’s prompt copy—his annotation following Lysander’s complaint that he is as well derived as Demetrius for Hermia’s hand, “Give us a break, Boss,” makes me smile—acted as stage manager during performance. He somehow intuited that Brook’s Dream would become iconic. His visual record of rehearsal pinpoints the individual moves that not only would come to stand for the performance but also were destined to become legendary—Oberon and Puck (Alan Howard and John Kane) swaying back and forth on trapezes, passing an imagined “little western flower” from one silver disc to another, or the pair bending over Titania, asleep on her red feather-bower. Turning to the Royal Shakespeare Company (RSC) Collection in the archives, I discovered other iconic items: costumes (borrowed from those worn by Chinese acrobats) of vibrant purple, daffodil yellow, and verdant green, punctuating the brilliantly white surround and covered, near the play’s ending, with fur-collared satin-lined cloaks. Though I remember searching in vain for Titania’s bower or the abstract forest of giant “slinkies” entrapping Hermia, I did find the lovers’ silken shirts, trousers and gowns peppered with haphazardly placed dots of blue or rose and a collection of brightly colored “Freek-kahs,” (their tag reading “sound makers”) that could be shaped into a mirror for Bottom or swung in a circle, emitting a haunting half-song. When sorting through theatrical remains, I might easily have bypassed Snug the Joiner’s Lion Mask, resigned it to jumble sale or flea-market status. Appropriately, it was a wooden box, open on one side, into which the crouching actor could stick his head, with leather straps to secure it to his shoulders; covering the opposite side was the mask itself, sculpted with a fierce-looking lion’s head and mane. Initially, I was struck by my sheer pleasure in discovering this curious object, an evocative mnemonic made for Barry Stanton, who played Snug, ragged with marks of decay that rendered its life history and afterlife in material terms, expressing a child’s idea of a lion—a lion that could belong only in a gigantic dollhouse zoo. Leaving this toy theater in my memory, I turn back to my study and, from my desk, pick up a heavy mallet weighing a pound and a half, painted red with splashes of black, also showing signs of heavy use. Made by the RSC’s Props Workshop for Snug, it was dropped during previews, relegated to the “hell” for unused props, its future uncertain. Such discarded props may travel to rehearsal rooms down the years—the horses made for John Barton’s Richard II wait, like sleeping perennials, to be ridden again—or, more likely, objects such as hats, belts, gloves, and daggers become items of actors’ souvenir culture. David Brierly (once head of the RSC Collection) appropriated a dagger used by Anthony Quayle and gave it to his son; David Tennant (probably) took the hat he wore as Hamlet; Anthony Sher displays Desdemona’s handkerchief on his wall, a mnemonic of his Iago. Snug’s mallet has a different history. 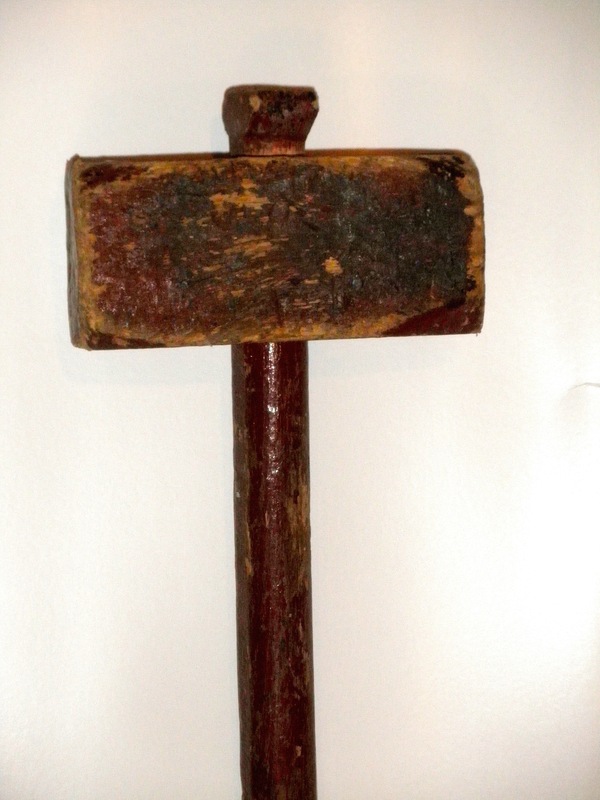 Laurence Burns ferreted it out from the under-backstage dock cellar and took it home, where it stayed for forty-five years, brought back into the world when Burns sent me a photograph of it and, later, the mallet itself. Although it occasionally gets repurposed in my kitchen for a variety of tasks, it belongs in my study, where it holds down papers and books rather than pounding chicken breasts, primed to collect twenty-first century traces rather than early modern ones. One such trace comes from Charles Kean’s historical and explanatory notes (1856), glossing Snug’s “No, I am no such thing; I am a man as other men are—and there, indeed, let him name his name; and tell them plainly, he is Snug, the joiner” with an anecdote that occurred at a spectacle presented to Queen Elizabeth wherein a villager named Harry Goldingham was to represent Arion upon the dolphin’s back. However, when he came to perform it, finding his voice very hoarse and unpleasant, he tore off his disguise and swore he was not Arion but honest Harry Goldingham—a discovery that, for all bluntness, brought Elizabeth great pleasure. A century and a half later, the mallet appears as a paper trace in Sally Jacobs’s postperformance costume design for Dream’s workmen, where it is pictured among a hacksaw, a hammer, and a carpenter’s tool bag. All such theatrical remains ultimately return to paper—that is, to their origins, to their initial form as writing on paper, giving back echoes of the voice or song it carries to be reperformed, as if in an imagined paper theater. 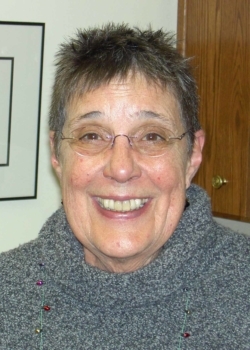 Barbara C. Hodgdon (1932–2018) was a retired Professor of English and an affiliated faculty member of Screen Arts and Cultures at the University of Michigan. She was the author of several publications, including her recent monograph, Shakespeare, Performance and the Archive.